I never spent much time in Cloud Party, though Cyn Skyberg did reach out for a phone interview about the potential of the virtual world for education. I was my usual glum self about the future of user-generated virtual worlds: I told Cyn that if CP didn't run on mobile devices well, my students would roll their eyes and say "oh please. More busy work." If they could, however, explore the richness of a virtual world between texts and status updates (he says with a smirk) they might not savage me in class evaluations. Despite my glumness, I still think the technology has a future, and Cloud Party impressed me. Now Yahoo has bought the company and will shut it down. 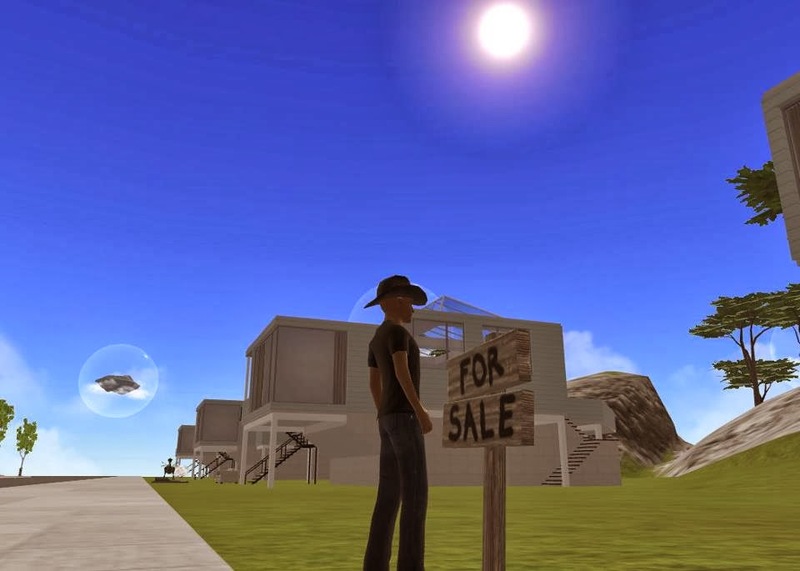 My glumness about virtual worlds also has a note of regret: I liked Cloud Party's browser-based world and freedom, as in Second Life, for normal humans without skills with Maya or Blender to make content. What Yahoo does with the Cloud Party team remains to be seen. Yahoo is trying to survive in a hostile environment dominated by Facebook, Google, and Twitter as places where users spend lots of time finding or sharing content. Perhaps Yahoo will launch games through its portal as Facebook has done well (including Cloud Party). What an interesting week in the otherwise moribund world of user-generated virtual worlds. With Rod Humble leaving Linden Lab as CEO and Cloud Party running down the curtain, we'll see what comes next. Philip Rosedale has not, apparently, given up on the technology. His High Fidelity project looks like a reboot of SL's utopian promise. So accuse me of wanting to believe. I don't need virtual worlds to socialize, but they rock for building simulations and DIY roleplaying. Here's to someone getting it right and making it a popular way to spend time!